The last time my parents came over for an impromptu dinner and movie, my mom and I ended laying on the floor because our sweet and sentimental vintage couch is not so easy on the back. It takes the term "pain in the a**" to a literal level...a reality I wish was not staring us square in the eyes for the sake of aforementioned back and wallet. Whenever we are ready to act like grown-ups and invest in some furniture that doesn't come with an assembly book, a soft and elegant navy blue sofa will be gracing our home indefinitely. Until then, it's back to stiffly waddling around our apartment like Frankenstein after relaxing on the couch. Oh god it looks gorgeous indeed! 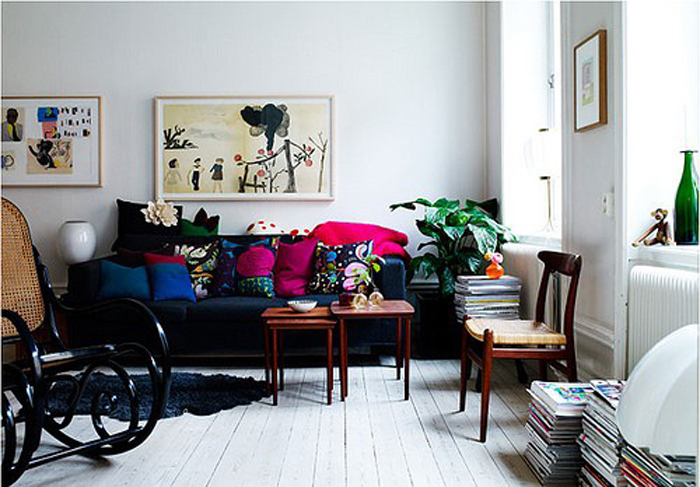 Love a velvet navy sofa, on my list too! That is so pretty and looks very comfy too! 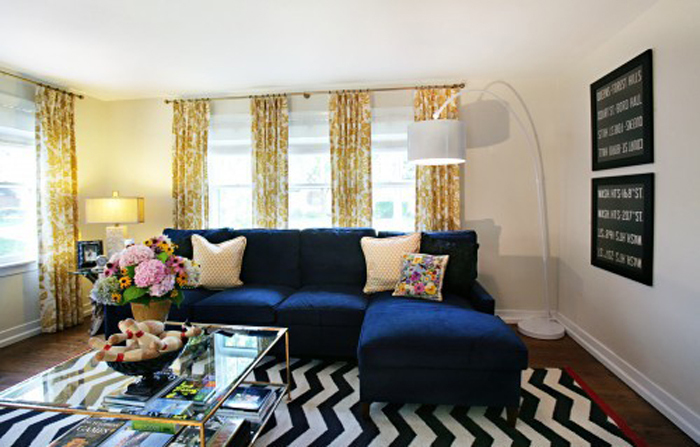 The yellow pillow in picture number 2 totes gives the room that POP!! and lalalala love the mustard colored curtains starting from super high... we did our curtains like that and it totally makes the room look bigger!! 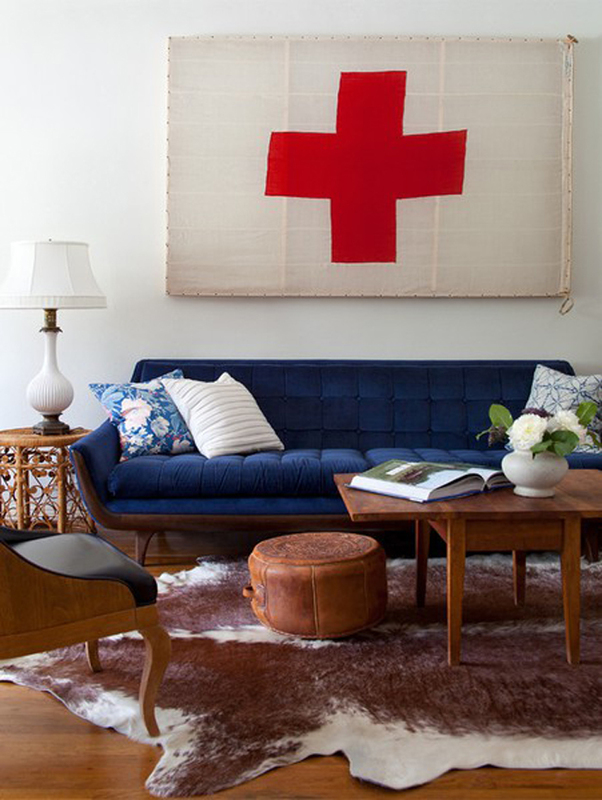 I love navy, but have never thought of it for a couch. Great idea! 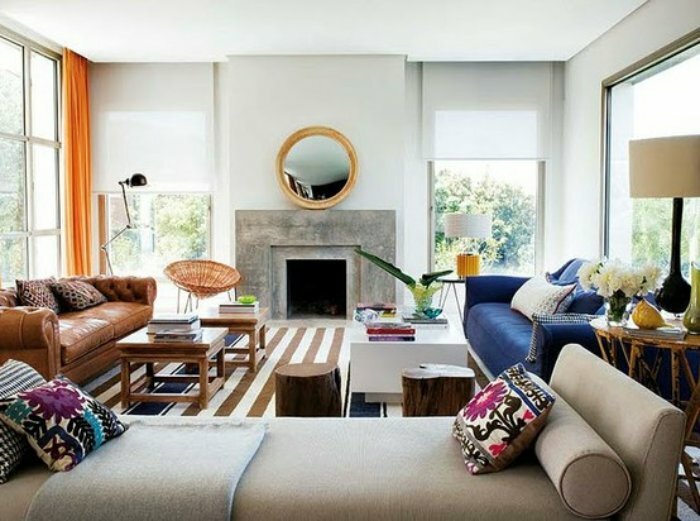 I love the navy sofas! 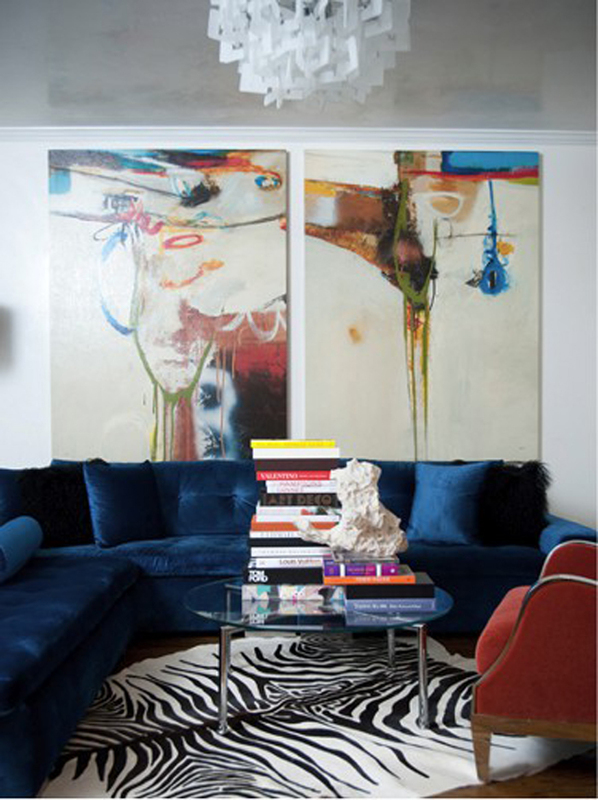 I love a blue velvet sofa... Ages ago, I came across an image of a man sitting on a sofa that had been just draped with blue velvet fabric (not even uphostered on), and I've been dreaming of how glamorous that's looked ever since. Always wanted to try it some winter, but I can never find the image again! In the meantime, these are gorgeous!